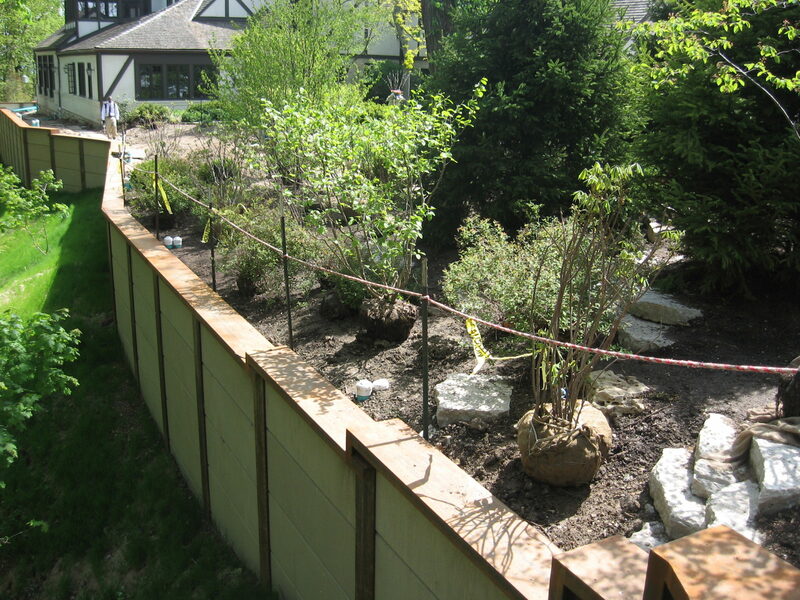 Bleck Engineering was approached by a homeowner who had a failing concrete and timber retaining wall that went right up to the detached garage and was 8 feet away from the residence. 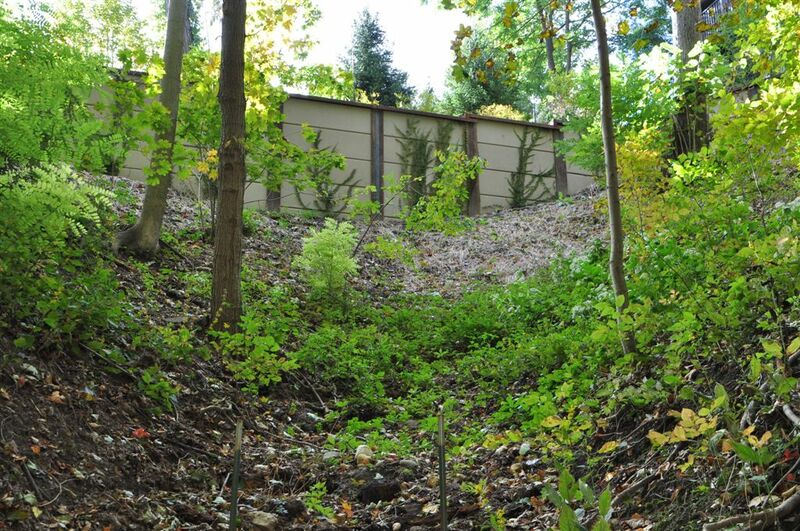 After assessing the site with the homeowner and gathering topographic and soil information, Bleck proposed that a new retaining wall be built in front of the existing failing wall. A soldier beam and lagging wall with concrete panels and a channel cap was chosen to help protect the real estate for the long term. The new wall is 400’ in length with a maximum exposed face of 12’ in height. 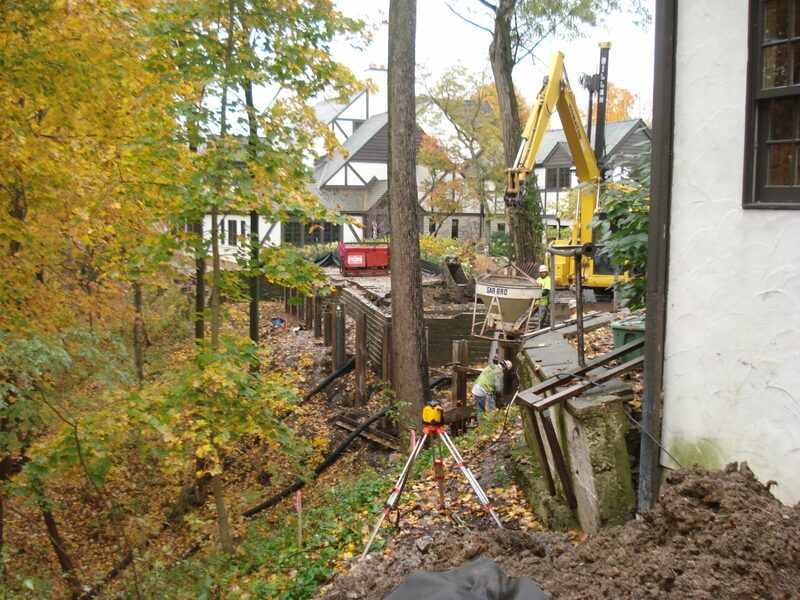 Construction plans were designed to try and minimize the disruption to the table land as well as to provide an aesthetic quality to neighboring properties.